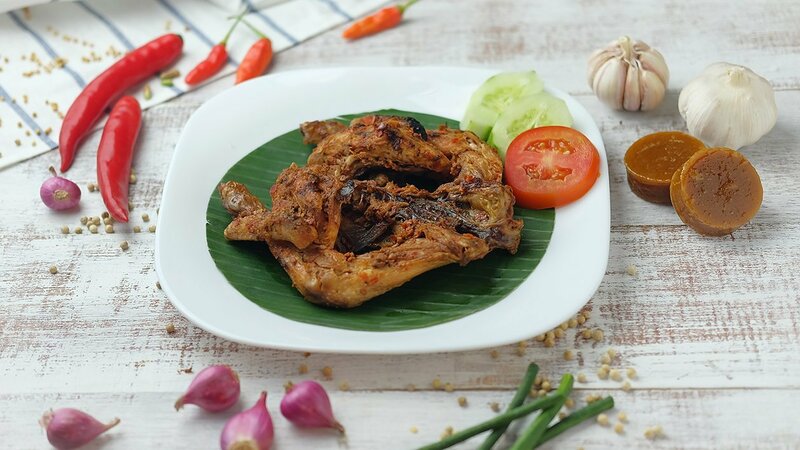 Taliwang chicken is one of the typical dish of Lombok origin and popular with the savory and spicy taste. Always favourable for spicy lovers. Cut the cleaned chicken, from chest up to the neck. Turn the chicken over and press it to flat. Sprinkle with mixed Knorr Lime Powder and water. Saute all the mashed spices. Turn off the heat when the seasoning has been cooked. Spread the chicken with all the spices that have been pan-fried. Place on a baking pan, roast the chicken in the oven with heat 160 degrees Celsius for 1.5 hours with top spiced olive smeared. Raise the chicken after it is fully cooked and tender. Grill chicken over coals with Kecap Bango and margarine.